All Agility Ladders comes packed in good quality handy carry bags. 1. This kit is the perfect choice for those seeking to increase their speed, strength, and agility! 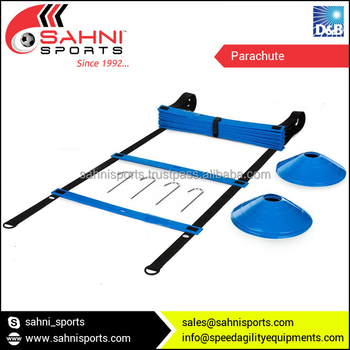 Agility Ladder is the secret weapon to improve your performance in almost every sport – Soccer, Football, Tennis, Basketball and others. 2. Our Speed Ladder comes with a high quality carrying bag, which makes it easy to pack up everything you need – suitable for indoor and outdoor use. It can also be customized as per client needs.